The Gallery formerley Dreamworks Portobello collection contains 3 mattresses, this is the Supreme 2400 and represents the middle model in the range, but from Dreamworks highest quality collection. 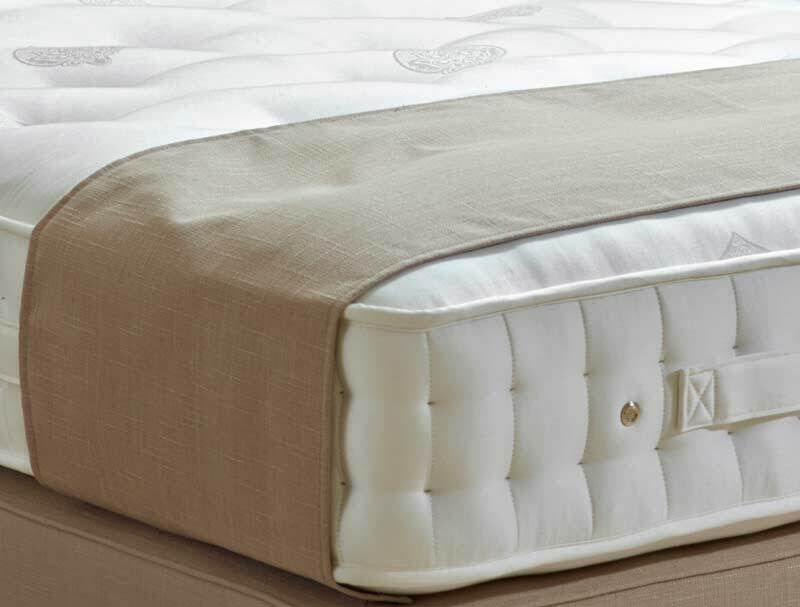 The Portobello Supreme consists of 2400 pocket springs split between 2 layers of pocket springs. The mattress is also double hand side stitched so there is more support at the sides and less roll off. The mattress is hand tufted and has flag stitched handles on the edges to help with turning and rotating this fully turnable mattress. It contains not only 2400 pocket springs in a king size mattress but layers of natural fillings like silk and cotton. Mattress tensions are now Medium or Firm. Like all Gallery mattresses it comes with a full 5 year guarantee.